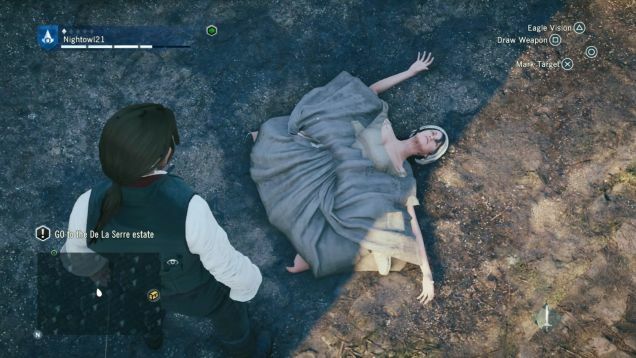 Assassin’s Creed: Unity– A bold new graphical direction? 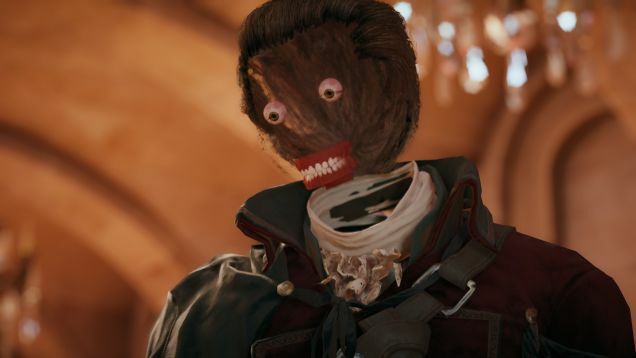 As anyone who keeps in touch with video game news knows, the latest installment of Ubisoft’s Assassin’s Creed series: Assassin’s Creed: Unity, was released last Thursday. I’ve always enjoyed Assassin’s Creed, though as a more casual fan. To be honest, I was kinda thinking of skipping Unity for a while, what with the forced multiplayer and online-only play and all that kerfluffle about there being no female playable characters. But then the game came out, and what I’ve seen looks incredible. Take a look for yourself! If you can’t watch it for some reason, I’ll tell you what basically happens. See, the game takes place during the French Revolution, but with a mind-bending sci-fi twist: you play as a reality warper! The protagonist is Arno Dorian, a young Frenchman who learns that the life he knows is a lie — the entire world is really inside a virtual reality construct known as the Animus. 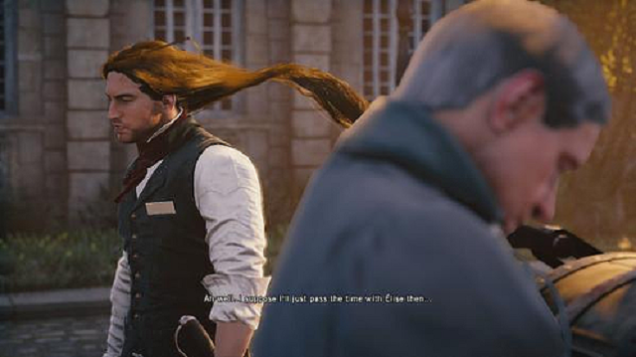 Arno makes the bold decision to escape the bloody French Revolution and set up a new domain in the space between dimensions. In the clip above, we see Arno using his newfound skills to sink through the floor, avoiding the battle above, and exploring an eerie white void surrounded by the Animus’s shattered landscape. It’s a story of identity and personhood, a commentary on the growing prevalence of virtual reality on our society, a — hold on a minute. Sorry, hang on. I’m getting some new information. What’s that? The clip was a glitch, not an actual gameplay feature? But, I mean … the characters all figure out they aren’t real, right? That they’re just a plot created to propel the cheap framing device forward, even though their stories and the history of the period are so much more interesting? No? The game was just released too early, so it’s full of glitches? Y’know what? Screw it. I’m just gonna show you these glitches and make fun of them for the rest of this blog. Enjoy. But wait, let’s not forget the videos! I’ll showcase a few of my favorites. First up: Arno misses a step and falls into the gap between dimensions! Have I mentioned that this game costs $60 yet? No? Well, it does. Next: Hey, this happened to me in Skyrim once! Except not nearly as bad. Which is not a good sign. And finally… look, it’s French Rosencrantz and Guildenstern! 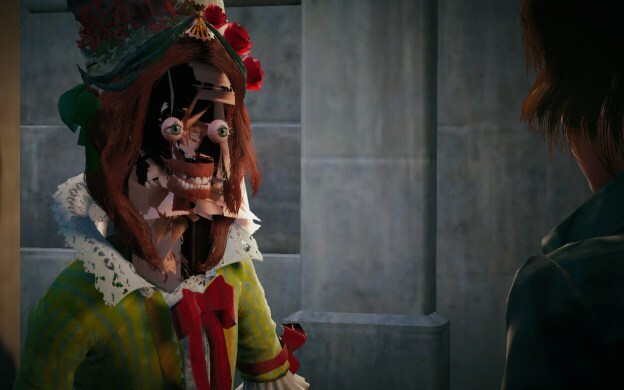 Disclaimer: I have not yet actually played Assassin’s Creed: Unity. I need to get Black Flag first because I have this thing about playing games in the correct order. I also understand that Ubisoft is doing their best to fix these glitches (though they really should have done that before the game was actually released), and that they don’t occur for everyone. I just think it’s funny and I needed to just write something already.